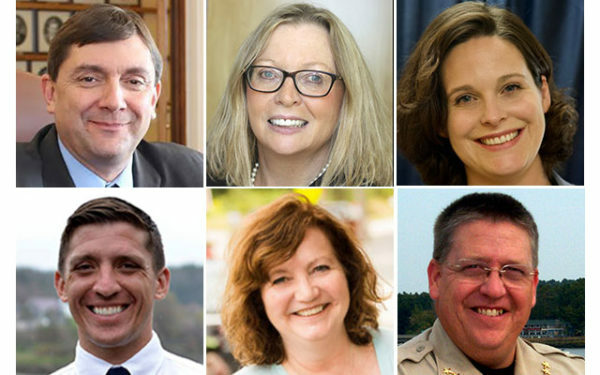 BOOTHBAY HARBOR — Voters are welcome to an informative evening of conversation, music, food and libations on Thursday, Sept. 13, 5:30-7:30 p.m. in the upstairs historic bar room of The Opera House, 86 Townsend Ave.
Special guest State Senate Democratic Leader Troy Jackson will share remarks and confirmed candidates include: Holly Stover for State Representative HD89, Laura Fortman for State Senate SD13, Natasha Irving for District Attorney PD6, Lincoln County Sheriff Todd Brackett, and Zak Ringelstein for U.S. Senate. Local guitarist Chip Schwehm will welcome attendees and singer-songwriter John Schindler is on tap to close the evening’s festivities. A cash bar will be available along with refreshments at no charge. For more information, contact Paula Arsenault at 207-380-7554 or paulamragsdale@gmail.com.